Check out all messenger bags on sale. We found all of the messenger bags on sale and put them all on this page for you. Save up to 50% off. Compare prices. This sophisticated but simple full grain cowhide leather laptop bag offers a sleek and stylish look for the professional woman on the go. This Piel bag features a top-zip opening to a main compartment with a padded laptop pocket and two additional compartments divided by a zippered pocket compartment. There is a full organizer, fully lined interior and dual rounded top handles that can be carried on the shoulder or toted by hand. Two external front slip pockets and a back zippered pocket offer quick access to your cell phone, keys and frequently used items. It also features nickel colored hardware and a detachable and adjustable leather shoulder strap. Size: OSFA. Color: Red Leather. Gender: Female. Age Group: Adult. This sophisticated but simple full grain cowhide leather laptop bag offers a sleek and stylish look for the professional woman on the go. This Piel bag features a top-zip opening to a main compartment with a padded laptop pocket and two additional compartments divided by a zippered pocket compartment. There is a full organizer, fully lined interior and dual rounded top handles that can be carried on the shoulder or toted by hand. Two external front slip pockets and a back zippered pocket offer quick access to your cell phone, keys and frequently used items. It also features nickel colored hardware and a detachable and adjustable leather shoulder strap. Size: OSFA. Color: Saddle Leather. Gender: Female. Age Group: Adult. This sophisticated but simple full grain cowhide leather laptop bag offers a sleek and stylish look for the professional woman on the go. This Piel bag features a top-zip opening to a main compartment with a padded laptop pocket and two additional compartments divided by a zippered pocket compartment. There is a full organizer, fully lined interior and dual rounded top handles that can be carried on the shoulder or toted by hand. Two external front slip pockets and a back zippered pocket offer quick access to your cell phone, keys and frequently used items. It also features nickel colored hardware and a detachable and adjustable leather shoulder strap. Size: OSFA. Color: Black Leather. Gender: Female. Age Group: Adult. The Edgebrook features a quick access front pocket secured with a key lock. The small front pocket is secured by a flap with a turn lock. The Interior organizer provides storage space for media devices, business cards, key holder and pens. The double compartment is divided by a secured zipper pocket for important documents. The built-in high-density laptop compartment protects laptops up to 15.4" in size. The Smart Attachment Strap allows transport on extended handles of other rolling cases and luggage. Size: OSFA. Color: Brown Leather. Gender: Female. Age Group: Adult. The Edgebrook features a quick access front pocket secured with a key lock. The small front pocket is secured by a flap with a turn lock. The Interior organizer provides storage space for media devices, business cards, key holder and pens. The double compartment is divided by a secured zipper pocket for important documents. The built-in high-density laptop compartment protects laptops up to 15.4" in size. The Smart Attachment Strap allows transport on extended handles of other rolling cases and luggage. Size: OSFA. Color: Red. Gender: Female. Age Group: Adult. The Davis features quick access dual front pockets. The interior organizer provides storage space for media devices, business cards, key holder and pens. The built-in padded high-density laptop compartment protects laptops up to 15.4" in screen size. The Smart Attachment Strap allows transport on extended handles of other rolling cases and luggage. Size: OSFA. Color: Brown. Gender: Female. Age Group: Adult. The Granville features a quick access front pocket secured with a key lock. The interior organizer provides storage space for media devices, business cards, key holder and pens. The double compartment is divided by a secured zipper pocket for important documents. The built-in high-density laptop compartment protects laptops up to 15.4" in size. The Smart Attachment Strap allows transport on extended handles of other rolling cases and luggage. Size: OSFA. Color: Navy. Gender: Female. Age Group: Adult. The Edgebrook features a quick access front pocket secured with a key lock. The small front pocket is secured by a flap with a turn lock. The Interior organizer provides storage space for media devices, business cards, key holder and pens. The double compartment is divided by a secured zipper pocket for important documents. The built-in high-density laptop compartment protects laptops up to 15.4" in size. The Smart Attachment Strap allows transport on extended handles of other rolling cases and luggage. Size: OSFA. Color: Fuchsia Genuine Leather. Gender: Female. Age Group: Adult. The Davis features quick access dual front pockets. The interior organizer provides storage space for media devices, business cards, key holder and pens. The built-in padded high-density laptop compartment protects laptops up to 15.4" in screen size. The Smart Attachment Strap allows transport on extended handles of other rolling cases and luggage. Size: OSFA. Color: Black Italian Leather. Gender: Female. Age Group: Adult. The Granville features a quick access front pocket secured with a key lock. The interior organizer provides storage space for media devices, business cards, key holder and pens. The double compartment is divided by a secured zipper pocket for important documents. The built-in high-density laptop compartment protects laptops up to 15.4" in size. The Smart Attachment Strap allows transport on extended handles of other rolling cases and luggage. Size: OSFA. Color: Red Italian Leather. Gender: Female. Age Group: Adult. The Granville features a quick access front pocket secured with a key lock. The interior organizer provides storage space for media devices, business cards, key holder and pens. The double compartment is divided by a secured zipper pocket for important documents. The built-in high-density laptop compartment protects laptops up to 15.4" in size. The Smart Attachment Strap allows transport on extended handles of other rolling cases and luggage. Size: OSFA. Color: Black Italian Leather. Gender: Female. Age Group: Adult. Well organized top zip compartment provides quick access to main section with separate file divider. Front organizer section for media gadgets, pens, cell phone, business cards and miscellaneous items. Tubular straps on either side of bag. Removable high density laptop sleeve protects laptops up to 15.4". Size: OSFA. Color: Navy Leather. Gender: Female. Age Group: Adult. Well organized top zip compartment provides quick access to main section with separate file divider. Front organizer section for media gadgets, pens, cell phone, business cards and miscellaneous items. Tubular straps on either side of bag. Removable high density laptop sleeve protects laptops up to 15.4". Size: OSFA. Color: Green Italian Leather. Gender: Female. Age Group: Adult. Well organized top zip compartment provides quick access to main section with separate file divider. Front organizer section for media gadgets, pens, cell phone, business cards and miscellaneous items. Tubular straps on either side of bag. Removable high density laptop sleeve protects laptops up to 15.4". Size: OSFA. Color: Black Italian Leather. Gender: Female. Age Group: Adult. Well organized top zip compartment provides quick access to main section with separate file divider. Front organizer section for media gadgets, pens, cell phone, business cards and miscellaneous items. Tubular straps on either side of bag. Removable high density laptop sleeve protects laptops up to 15.4". Size: OSFA. Color: Red Italian Leather. Gender: Female. Age Group: Adult. The Edgebrook features a quick access front pocket secured with a key lock. The small front pocket is secured by a flap with a turn lock. The Interior organizer provides storage space for media devices, business cards, key holder and pens. The double compartment is divided by a secured zipper pocket for important documents. The built-in high-density laptop compartment protects laptops up to 15.4" in size. The Smart Attachment Strap allows transport on extended handles of other rolling cases and luggage. Size: OSFA. Color: Navy Leather. Gender: Female. Age Group: Adult. The Edgebrook features a quick access front pocket secured with a key lock. The small front pocket is secured by a flap with a turn lock. The Interior organizer provides storage space for media devices, business cards, key holder and pens. The double compartment is divided by a secured zipper pocket for important documents. The built-in high-density laptop compartment protects laptops up to 15.4" in size. The Smart Attachment Strap allows transport on extended handles of other rolling cases and luggage. Size: OSFA. Color: Black Italian Leather. Gender: Female. Age Group: Adult. The Davis features quick access dual front pockets. The interior organizer provides storage space for media devices, business cards, key holder and pens. The built-in padded high-density laptop compartment protects laptops up to 15.4" in screen size. The Smart Attachment Strap allows transport on extended handles of other rolling cases and luggage. Size: OSFA. Color: Red Italian Leather. Gender: Female. Age Group: Adult. The Versa line packages versatility and organization in tastefully compact form. Everki’s latest addition to its selection of laptop briefcases rounds out its range of sizes with a Checkpoint-Friendly laptop compartment equipped to hold up to 17.3” laptops. 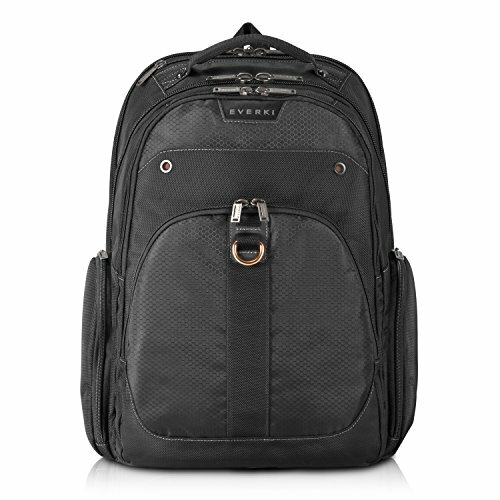 This bag presents style and workplace functionality with the rugged durability the globetrotting professional requires. Its tasteful black exterior is fashioned from high-quality, water-resistant Ballistic nylon and Everki’s patent-pending corner-guard protection system shields laptops from damage to the areas manufacturers have cited as most frequently in need of repair. The Versa taps Everki’s considerable experience creating innovative bags that make the most of every inch of space. A double-sided, structured organization panel inside one of its main compartments is the key to its ability to retain visual appeal while holding as much cargo as possible. Each side of this panel is outfitted with an array of smartly-arranged pockets and slots and the whole thing straps down firmly to prevent contents from shifting while in transit. Adjacent to the organization panel also sits a padded, felt-lined iPad/Kindle/tablet slot, located safely near the center of the bag, away from potential harm. In addition, a third central compartment reserves space for important files and documents or something to read while en route to the next meeting, and a smaller front pocket makes room for passports and other travel necessities. Comfort is no problem for the Versa’s wearer, even with a full load. An ergonomic, two-way adjustable shoulder strap allows fine adjustments for maximum comfort and its wide, soft leather pad prevents slippage and pitches in to absorb some of the weight. Peace of mind is also part of the package, as like all of Everki’s products, the Versa is backed by the company’s lifetime warranty protection. This Cabrelli Camila Croco Laptop Rollerbrief, in faux leather detailing beauty, is fitted for the working, travelling woman who appreciates the smart and unconventional, and features a retractable handle, two roller-blade wheels, padded compartments for a 15" laptop and an electronic tablet/reader, and much more. Carry your rollerbrief on top of your luggage using the back strap that allows you to attach your rollerbrief to your luggage's retractable handle, or use the double handles that can be fastened together for easy carrying. Light weight and carry-on size for most airplane companies. This Polly Pocket Laptop Rollerbrief, in faux leather detailing beauty, is fitted for the working, travelling woman who appreciates the smart and unconventional, and features a retractable handle, two roller-blade wheels, padded compartments for a 15" laptop and an electronic tablet/reader, and much more. Carry your rollerbrief on top of your luggage using the back strap that allows you to attach your rollerbrief to your luggage's retractable handle, or use the double handles that can be fastened together for easy carrying. Light weight and carry-on size for most airplane companies. This Bethany Basket Weave Laptop Rollerbrief, in faux leather detailing beauty, is fitted for the working, traveling woman who appreciates the smart and unconventional, and features a retractable handle, two roller-blade wheels, padded compartments for a 15" laptop and an electronic tablet/reader, and much more. Carry your rollerbrief on top of your luggage using the back strap that allows you to attach your rollerbrief to your luggage's retractable handle, or use the double handles that can be fastened together for easy carrying. Light weight and carry-on size for most airplane companies. This Linda Locket Laptop Rollerbrief, in faux leather detailing beauty, is fitted for the working, travelling woman who appreciates the smart and unconventional, and features a retractable handle, two roller-blade wheels, padded compartments for a 15" laptop and an electronic tablet/reader, and much more. Carry your rollerbrief on top of your luggage using the back strap that allows you to attach your rollerbrief to your luggage's retractable handle, or use the double handles that can be fastened together for easy carrying. Light weight and carry-on size for most airplane companies. This Becka Buckles Laptop Rollerbrief, in faux leather detailing beauty, is fitted for the working, travelling woman who appreciates the smart and unconventional, and features a retractable handle, two roller-blade wheels, padded compartments for a 15" laptop and an electronic tablet/reader, and much more. Carry your rollerbrief on top of your luggage using the back strap that allows you to attach your rollerbrief to your luggage's retractable handle, or use the double handles that can be fastened together for easy carrying. Light weight and carry-on size for most airplane companies. This Peggy Plaid Laptop Rollerbrief, in faux leather detailing beauty, is fitted for the working, travelling woman who appreciates the smart and unconventional, and features a retractable handle, two roller-blade wheels, padded compartments for a 15" laptop and an electronic tablet/reader, and much more. Carry your rollerbrief on top of your luggage using the back strap that allows you to attach your rollerbrief to your luggage's retractable handle, or use the double handles that can be fastened together for easy carrying. Light weight and carry-on size for most airplane companies. This Paris Patent Laptop Rollerbrief, in faux leather detailing beauty, is fitted for the working, travelling woman who appreciates the smart and unconventional, and features a retractable handle, two roller-blade wheels, padded compartments for a 15" laptop and an electronic tablet/reader, and much more. Carry your rollerbrief on top of your luggage using the back strap that allows you to attach your rollerbrief to your luggage's retractable handle, or use the double handles that can be fastened together for easy carrying. Light weight and carry-on size for most airplane companies. This Zara Zippers Laptop Rollerbrief, in faux leather detailing beauty, is fitted for the working, travelling woman who appreciates the smart and unconventional, and features a retractable handle, two roller-blade wheels, padded compartments for a 15" laptop and an electronic tablet/reader, and much more. Carry your rollerbrief on top of your luggage using the back strap that allows you to attach your rollerbrief to your luggage's retractable handle, or use the double handles that can be fastened together for easy carrying. Light weight and carry-on size for most airplane companies. 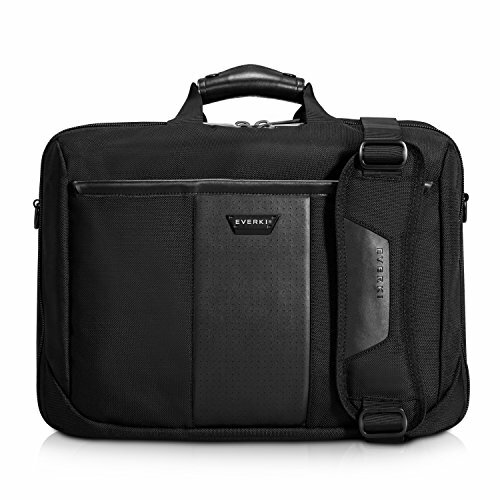 If traveling for business is your thing, then this laptop bag is the ideal companion. From its subtly stylish, handsome exterior to its thoughtfully-organized interior, the Atlas backpack is designed to meet the expectations of even the most serious traveling professional. In addition to featuring a Checkpoint Friendly design that makes passing through airport security a breeze, this bag also debuts Everki's innovative adjustable laptop slot - three separate panels that allow the user to set his or her desired size and secure using sturdy Velcro strips. This pocket holds a 13" Ultra book just as snugly, safely, and easily as it does a 17.3" laptop, making the Atlas a versatile backpack suitable for any situation. Like many of Everki's bags, the Atlas comes equipped with a multitude of useful, highly-functional features, including a felt-lined iPad/Kindle/tablet pocket, a trolley handle pass-through slot, and a convenient newspaper/magazine pocket, to name just a few. Combine these with lightweight construction, durable, high-quality zippers, numerous well-organized compartments and slots, a key ring buckle, high-contrast orange lining, and lots of leftover interior space, and you've got everything you can possibly ask for in a laptop bag. A quick look through the Atlas reveals that Everki created this bag with organization in mind, with a dedicated spot for virtually everything the traveler needs to bring along for the ride - headphones, peripherals, files and documents, water bottle, and plenty more. What's more, its soft lumbar pad and ergonomic five-point balance strap system properly distribute weight to ensure that the wearer is comfortable, even when the bag is fully loaded. Whether you are flying across the country for a meeting or conference or simply commuting to work, this versatile bag maximizes space and comfort while it minimizes bulk and eliminates hassle. This backpack sling is handcrafted from full grain vacquetta cowhide leather and features antique hardware, adjustable split zip straps, a rear exterior zip pocket, two pen holders, one cell phone pocket, one slip pocket, a padded iPad/eReader sleeve, an interior zip pocket and a top handle. Size: OSFA. Color: Tan. Gender: Female. Age Group: Adult. This backpack sling is handcrafted from full grain vacquetta cowhide leather and features antique hardware, adjustable split zip straps, a rear exterior zip pocket, two pen holders, one cell phone pocket, one slip pocket, a padded iPad/eReader sleeve, an interior zip pocket and a top handle. Size: OSFA. Color: Red. Gender: Female. Age Group: Adult. This backpack sling is handcrafted from full grain vacquetta cowhide leather and features antique hardware, adjustable split zip straps, a rear exterior zip pocket, two pen holders, one cell phone pocket, one slip pocket, a padded iPad/eReader sleeve, an interior zip pocket and a top handle. Size: OSFA. Color: Black. Gender: Female. Age Group: Adult. This backpack sling is handcrafted from full grain vacquetta cowhide leather and features antique hardware, adjustable split zip straps, a rear exterior zip pocket, two pen holders, one cell phone pocket, one slip pocket, a padded iPad/eReader sleeve, an interior zip pocket and a top handle. Size: OSFA. Color: Cafe. Gender: Female. Age Group: Adult. An athletic take on a traditional messenger bag, the medium Timbuk2 Maze classic messenger bag is made to be worn close your body during active commutes-on foot, by bike and via public transit. 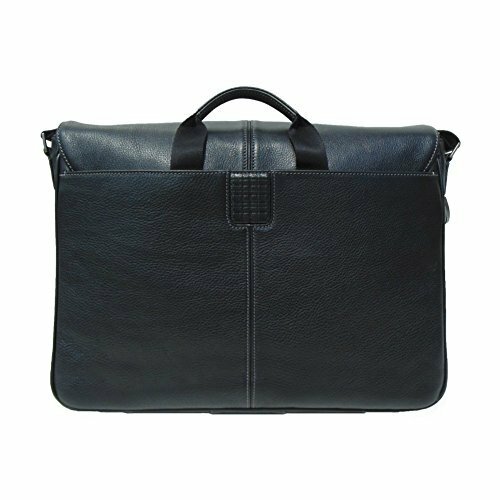 This modern and sleek leather laptop bag is functional and stylish! Features a three-sided zipper for complete access to the interior, an exterior rear magnetic snap pocket, two rolled leather carry handles, and an adjustable/detachable wide shoulder strap. The interior is padded with a large slip pocket, a large zippered pocket, and an interior organizer with cell phone pocket, four credit card slots, and two pen/pencil holders. Includes a dust bag for storage when not in use. Size: OSFA. Color: Metallic Copper Leather. Gender: Female. Age Group: Adult. This modern and sleek leather laptop bag is functional and stylish! Features a three-sided zipper for complete access to the interior, an exterior rear magnetic snap pocket, two rolled leather carry handles, and an adjustable/detachable wide shoulder strap. The interior is padded with a large slip pocket, a large zippered pocket, and an interior organizer with cell phone pocket, four credit card slots, and two pen/pencil holders. Includes a dust bag for storage when not in use. Size: OSFA. Color: Metallic Brown Leather. Gender: Female. Age Group: Adult. This modern and sleek leather laptop bag is functional and stylish! Features a three-sided zipper for complete access to the interior, an exterior rear magnetic snap pocket, two rolled leather carry handles, and an adjustable/detachable wide shoulder strap. The interior is padded with a large slip pocket, a large zippered pocket, and an interior organizer with cell phone pocket, four credit card slots, and two pen/pencil holders. Includes a dust bag for storage when not in use. Size: OSFA. Color: Steel Leather. Gender: Female. Age Group: Adult. Harmony was designed by Amy from the outside in, and then from the inside out. Because a laptop bag has to really function, and an Amy bag has to be beautiful! Simplicity on the exterior, and vast, well-conceived pockets on the interior. Plenty of space, plenty of grace. It has all organic cotton, leather handles and piping, interior pockets, and coordinated contrast lining. Size: OSFA. Color: Passion Lily Tangerine. Gender: Female. Age Group: Adult. Harmony was designed by Amy from the outside in, and then from the inside out. Because a laptop bag has to really function, and an Amy bag has to be beautiful! Simplicity on the exterior, and vast, well-conceived pockets on the interior. Plenty of space, plenty of grace. It has all organic cotton, leather handles and piping, interior pockets, and coordinated contrast lining. Size: OSFA. Color: Passion Lily Turquoise. Gender: Female. Age Group: Adult.